Our 4th of July show is an encore of last Years. 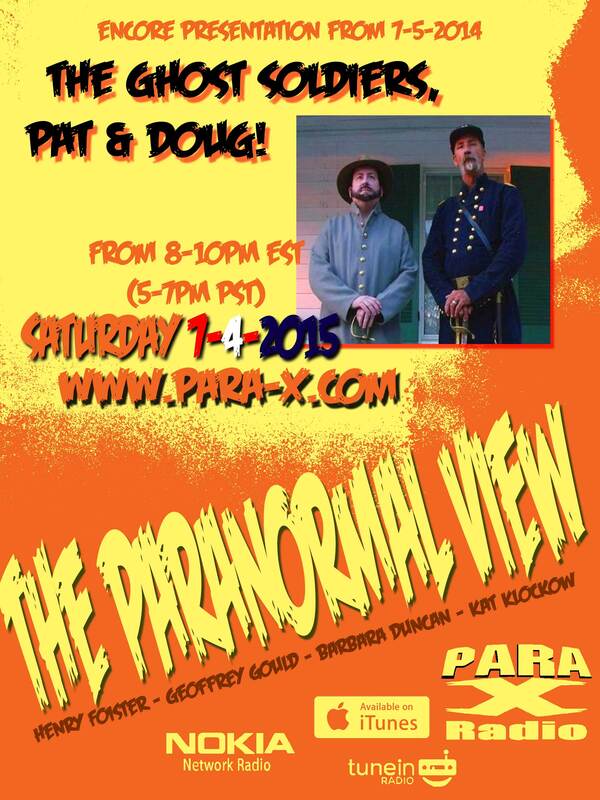 The Ghost Soldiers Pat McCormick and Doug McReynolds, let the fireworks begin. This entry was posted on July 3, 2015 at 12:00 pm and is filed under Aliens/UFO, Ancient Mysteries, Announcements, Cryptozoology, From the Hosts, Ghosts & Hauntings, Listener Feedback, Psychic Phenomena. You can follow any responses to this entry through the RSS 2.0 feed. You can leave a response, or trackback from your own site. I truly do accept many of the thoughts you could have announced in your article. They’re really effective and definately will absolutely do the job. Even so, the posts are so short for newbies.. DAU THU KY THUAT SO GIA RE TAI BINH DUONG May well you want lengthen these slightly through next time period? Basically write-up.